As the Heartbeat of the IoT®, Abracon has been developing leading edge solutions for wearables and the Internet of Things for over a decade. The IoT presents new challenges in power consumption, battery life, connectivity and processing power. New requirements have forced the industry to rethink what technology can accomplish. The next generation of energy saving MCU and RF chipset designs have reduced power consumption to a trickle. This affects all aspects of the design. What is necessary are passive component solutions that address these new requirements across the board. Technological innovations in construction, design and validation are helping engineers in the IoT get to market. Low power MCUs and RF chipsets are being designed to extend battery life longer than ever. The reality for IC designers is that their power budget is shrinking and they can no longer drive quartz crystals using generous amounts of gain the Pierce oscillator. A new miserly approach to oscillator design within the quartz oscillator circuit aboard every MCU and RF chipset forces adaptations in crystal technology. Crystals must reach lighter plating loads (CL) and lower equivalent series resistance (ESR) across operating temperature or these new oscillator circuits cannot support oscillation. There is little hope that the next gen low energy circuits can support plating loads of 9pF to 12pF found in previous crystals. Optimized for the IoT, plating loads of CL below 8pF and reaching 3pF for some frequencies are required while simultaneously holding a low ESR. Additionally, even lower junction capacitance of these new IC designs means that trace capacitance on the order of 1pF can become a significant error factor. Coupled with the unpredictability of manufacturing tolerances and every changing PCB designs with faster design cycles means that in-circuit validation of crystal operating point has also become a requirement. Optimized for the IoT, Abracon’s W-series crystals reduce CL to 3pF and 4pF levels while maintaining low ESR across temperature. Equally important in IoT applications, Abracon’s Pierce Analyzer Service (PAS) provides in-circuit validation that can account for trace and PCB parasitics, getting your low energy design to market. The IoT demands that devices remain connected yet distributed. This can only be accomplished with a series of IoT RF protocols such as Bluetooth, WiFi, Zigbee, LoRaWAN, Sigfox and NB-IoT. 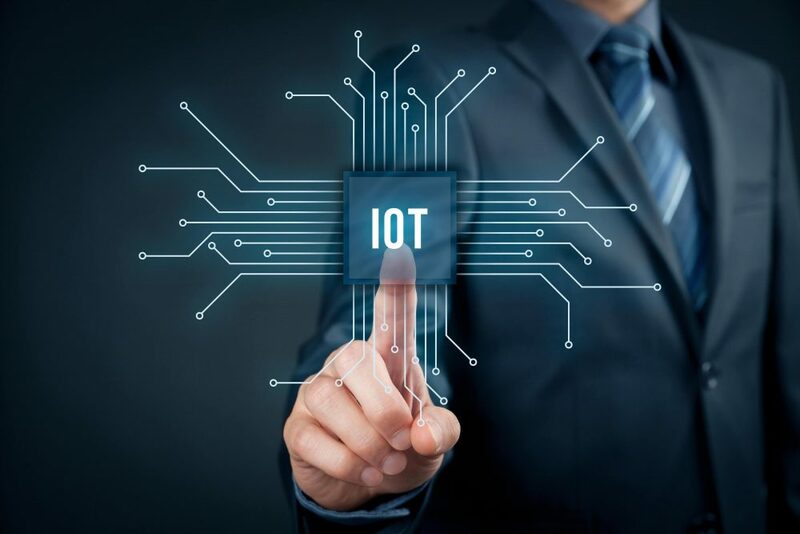 Additionally, geolocation, position tracking and inventory management are quickly becoming some of the most popular IoT applications. With optimized RF silicon, every drop of energy has to be accounted for. Radios must wake up, consume as little power as possible and then go to sleep until summoned again. This low duty-cycle RF activity can extend battery life. However, while actively transmitting and receiving, the radio should consume as little power as possible. In-system optimization provides the best possible range with the lowest current consumption. Many of the chip and patch antennas used within IoT systems due to their minimal size may not be matched to the end system. Estimating the exact dimensions of the ground plane or the exact values of the matching network for chip antennas may not always be possible. Only in-system validation that tests for center frequency and peak gain can be used as the basis for complete system RF optimization of the antenna. Abracon’s IoT antenna solutions offer excellent gain supporting the top protocols such as LoRaWAN, Sigfox, GPS/GLONASS/BEIDOU, WiFi/Zigbee and BLE across multiple bands. To enhance system battery life and range while reducing interference, Abracon’s IoT antennas are supported by an in-system optimization service. Learn more about Abracon's IoT Antennas here or for the full antenna profile click here. Every system requires power conditioning. Within the IoT, with the expectation of long battery life, it all comes down to the total energy the device consumes and how much energy is available to it over its lifetime. New techniques for energy harvesting are becoming a reality but they mean nothing without inherently efficient power delivery and regulation. Low losses in switch mode power supplies are required which push the envelope of inductor technology. Achieving a high inductance while reducing DC resistance enables much more efficient power supply circuits. To illustrate the importance of efficiency, a power supply circuit that increases from 70% to 95% efficiency has reduced its power consumption over 80%. All things being equal, the overall energy requirement of the system reduces by 25%, extending battery life that amount. Other considerations include the form factor of power delivery. As IoT devices become more movable, powered cable connections become undesirable. Galvanic presents reliability, maintenance, environmental and even safety limitations and challenges that add cost and complexity to the design. In contrast, wireless charging technology can deliver power to IoT devices without using metal contacts. Without exposed metallic connections, this charging scheme simplifies design and extends durability without sacrificing charging time. Click the following links for more information about Abracon’s inductors or wireless charging coils. The IoT has changed requirements for all sections of the system’s design: RF, connectivity, power and timing. New component solutions and validation services from Abracon, the Heartbeat of the IoT® are rising to address the challenges of this emerging market.